Thank you so much for visiting my page! 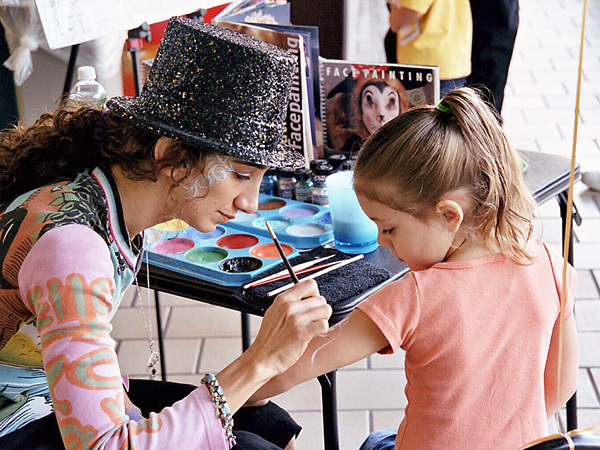 If you've ever experienced a wide eyed child take a look in a mirror after being transformed into his or her favorite animal, super hero or sensational character, then you have experienced why I face paint! I find great joy & delight in the whimsical happiness it reveals in everyone. I use only the best & safest FDA approved face paints, glitters, and materials. I arrive early to set up, and come prepared with all I need to insure a FUNtastic face painting experience will be had by all! Serving: San Fernado Valley, Burbank, Magnolia Park,Toluka Lake, Universal City, Studio City, Valley Village, Sherman Oaks, Encino, Tarzana, Granada Hills, Porter Ranch, Chatsworth, Simi Valley, Moorpark, Thousand Oaks,Newbury Park, Agoura Hills, Westlake Village, Oxnard, Ventura. *** Outside of these locations are available.